A ‘Battlestar Galactica’ Movie? No Fracking Way! Mother-fracker! This is excellent news. 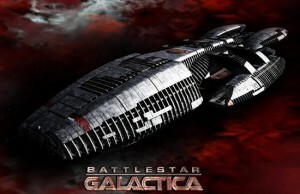 “So say we all.” Universal is prepping a big screen adaptation of ‘Battlestar Galactica‘…finally. There have been many attempts to do a big screen version based off of Glen Larson’s 1978 TV series, but none have come to fruition. In 2003, a revamp series aired on SyFy, and became one of the BEST series to ever come out on television. 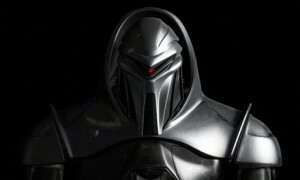 That pilot for Syfy’s ‘Battlestar Galactica’ prequel series titled ‘Battlestar Galactica: Blood and Chrome’ will finally be airing on Friday. It will only be online this Friday, but after this weekend there will be a Blu-ray/DVD/VOD release. It’s sad that SYFY passed on this series, which I don’t understand. BSG was a huge hit for them, and the trailer we debuted a few months ago generated tons of hype. 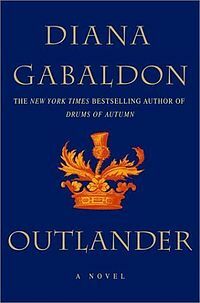 Ron Moore, the showrunner/writer/director of the recent ‘Battlestar Galactica’ series for SYFY, has just inked a deal to bring the Diana Gabaldon ‘Outlander’ book series to a new tv series. ‘Outlander’ is a fantasy adventure series that starts off in 1945 and follows Claire, an engaged WWII combat nurse who accidentally steps back in time to the Scottish Highlands of 1743. Catapulted without warning into the intrigues of lairds and spies that send her on the run and threaten her life she is forced to marry Jamie, a gallant and passionate young Scots warrior, igniting a passionate love so absolute that Claire becomes a woman torn between fidelity and desire… and between two vastly different men in two irreconcilable lives according to Deadline. 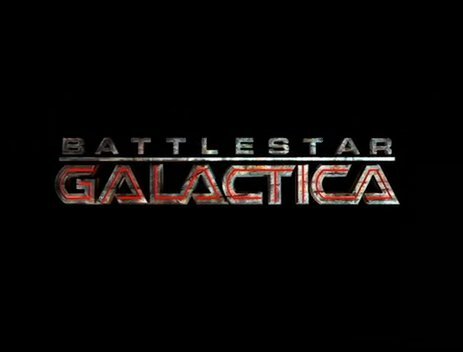 Yesterday, we posted the bootleg trailer to ‘Battlestar Galactica: Blood and Chrome’ which has been in the works for a few years now. The video was taken down by the studio. If you didn’t get a chance to see the trailer, it was BADASS. It looks epic. But since, this show has been a long and heavy trek in post production, the studio is trying to see how they can earn money on it. Battlestar Galactica Hitting the Big Screen!!! Bryan Singer (Valkyrie) is taking the wheel with a big screen adaptation of the 1978 TV series. He’s as giddy as a schoolboy, as is his screenwriter, John Orloff (A Mighty Heart). ABC Purchases Western Series from Battlestar Galactica Showrunner Ron Moore!!! ABC won the bid and purchased ‘Hangtown’ from Ron Moore. 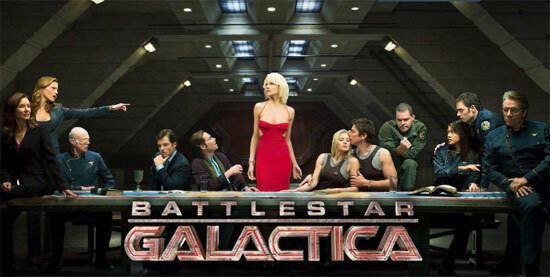 Ron Moore was the showrunner, director, producer, writer for the revamped Battlestar Galactica series on Sy-Fy. Also on the Hangtown project is Caprica writer Matt Roberts. Guess Who Will Play The Younger William Adama in the Battlestar Galactica Prequel Series, “Blood and Chrome”??? Sy-Fy has cast its William “Husker” Adama role for their upcoming series “Blood and Chrome” which is a prequel to Battlestar Galactica. In this show William Adama will be in his 20’s and fighting in one of the cylon wars. The twenty something version of Adama will be played by Luke Pasqualino. 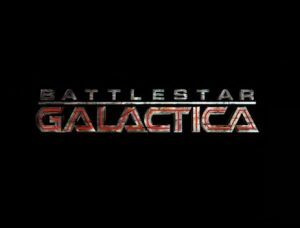 SyFy Network executive Mark Stern unveiled that there will be a TV MOVIE made called “Battlestar Galactica: Blood & Chrome”. It will follow a mid-twenties William Adama as he enters the decade old first Cylon War. It is set to shoot in Vancouver sometime next year. I am excited to hear this news. 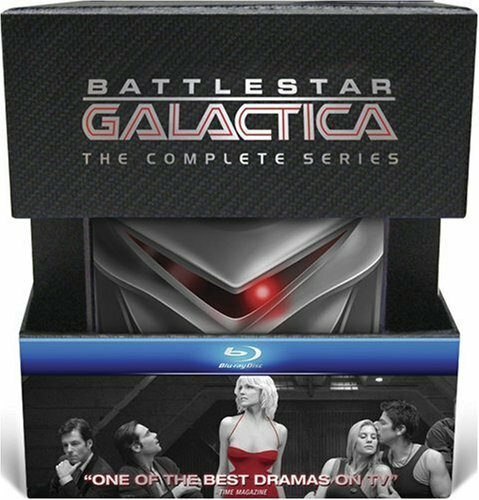 Any BSG news is great news. 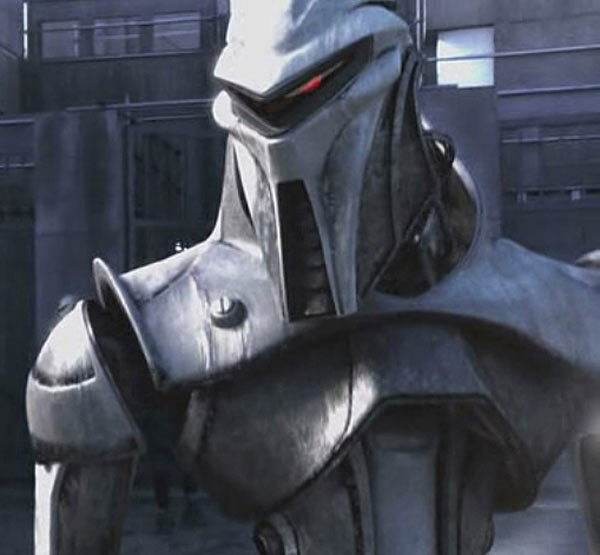 I’m curious as to how many characters we will see from the BSG series in their younger from. Plus Mark Stern said that the show Caprica is on the edge. November 15 is the date we will hear by if the show will be no more. 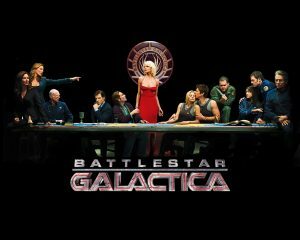 Battlestar Galactica’s Creator Ron Moore to Pitch TV Show Remake of Wild Wild West..
One of the best shows on television to come out in the last 20 years was the re-vamp of Battlestar Galactica which was created by Ron Moore. Now he is gearing up to pitch yet another re-vamp. This time it is the 1960’s show, The Wild, Wild West. 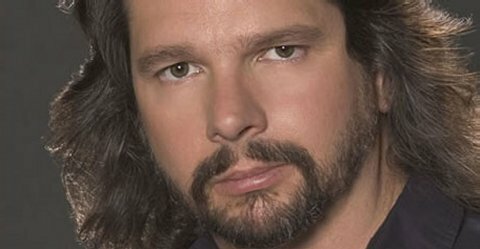 Now if anyone could do a show right it is Ron Moore. But I think this project is fairly far off, maybe by three or so years. Let’s hope some BSG vets return for this show. Geek Deal of the Day Will Let You Fly On A Battlestar!!! One of my favorite tv shows of all time is on sale right now till midnight. It is Claire’s favorite show of all time. I am talking about the recent revamp of Battlestar Galactica.